I met a bunch of the lovely Creativebug people this summer at our Michaels Makers Summit and got to try out several of their beautiful classes. 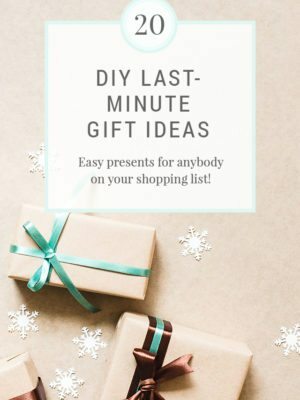 Today I’m partnering with them to bring YOU some holiday gifting creativity! 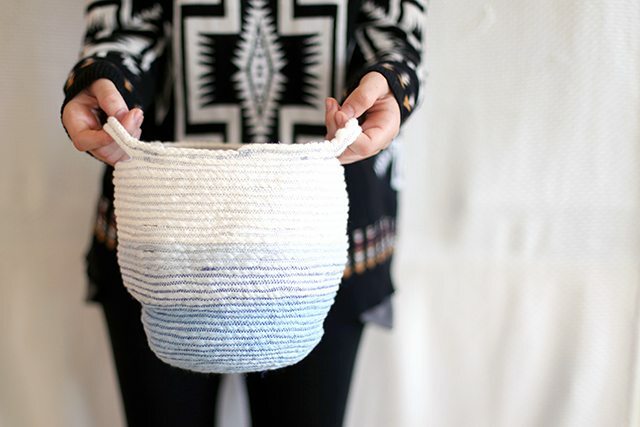 I tried out Nicole Blum’s Stitched DIY Rope Basket e-course, and I’m already addicted! I couldn’t stop at just one basket, so I made two before I ran out of rope, and I’ve already ordered more rope. 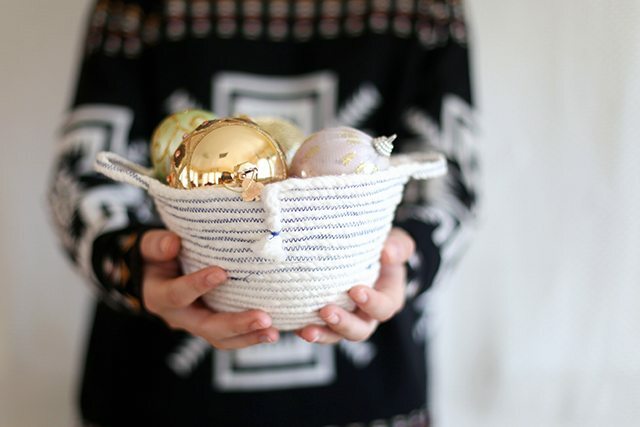 Read on for the two different ways I customized my little baskets, including how I got this beautiful dip-dyed ombre look! 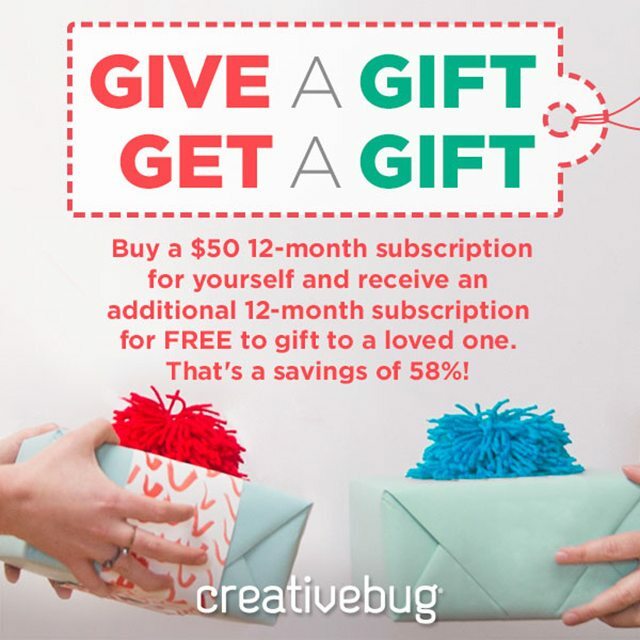 First things first: Creativebug is a creative learning site with more than 500 classes taught by leading designers and artists (who have been featured by Vogue, Martha Stewart Living, O Magazine, and more!). Classes are taught for all skill levels, so it’s a great gift for somebody who’s been wanting to pick up a new hobby, like sewing, calligraphy, or watercolors. The especially nice thing with this site is that you don’t have to pick which classes you want to take. For $4.95 per month, you can take any of the classes on the site, and you get to keep one class per month for free with lifetime access. 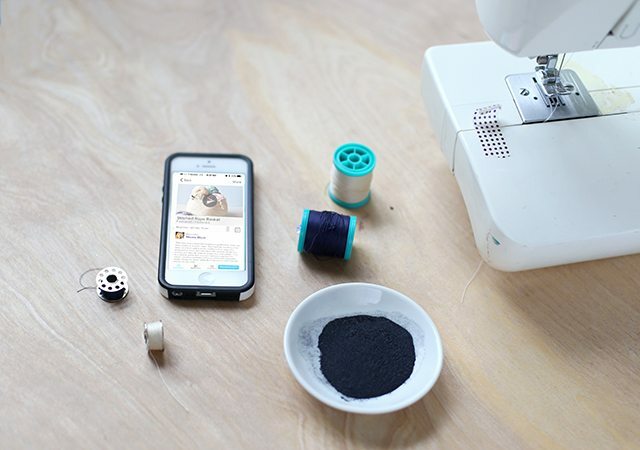 All the courses are self-paced, too, so you don’t need to be around your computer or sewing machine or paint palette at a certain time. They’re filmed professionally and broken into bite-sized section so that you don’t get overwhelmed. The instructors or Creativebug staff are responsive if you have a question, and there’s a discussion section for each class. 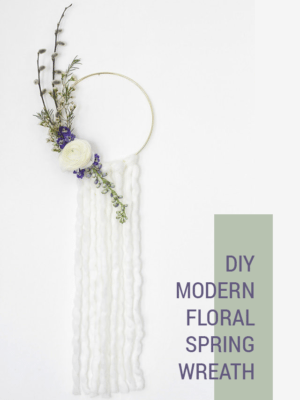 Each class has a downloadable PDF with supplies, instructions, and pictures, so you don’t have to be online to learn. Some things just make SO much more sense on a video. It’s hard to explain a certain knitting stitch or brushstroke in a few written sentences or even a picture! If you’re not sold yet (pardon the pun), you get a free two-week trial to test drive the course library! As part of your free trial you’ll get to add a free class to your personal library. There’s also a mobile app to enjoy your favorite classes anytime, and anywhere you want, including full-length class videos. You’re not tied to a computer downstairs if your sewing machine is upstairs, or you can take a class on vacation if you want! 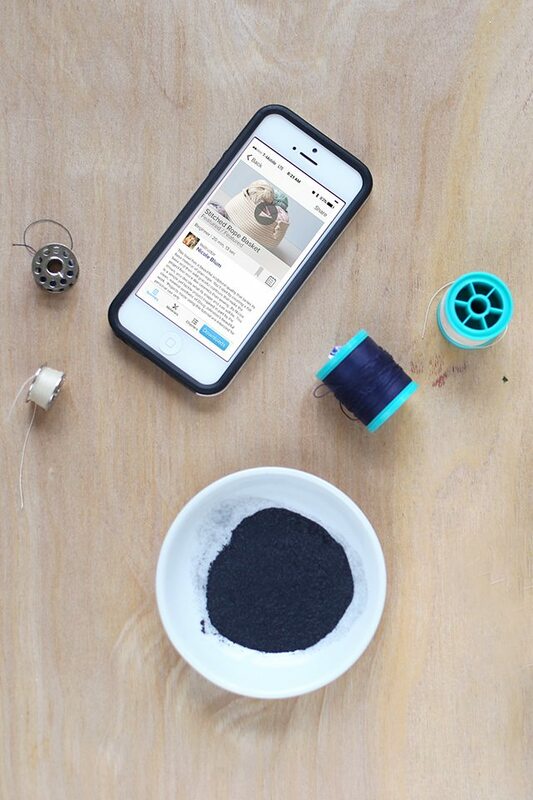 Use a dye appropriate for cotton. I like procion fiber reactive dyes and haven’t used anything else since I discovered these. They’re incredibly vibrant and available in a huge range of colors. 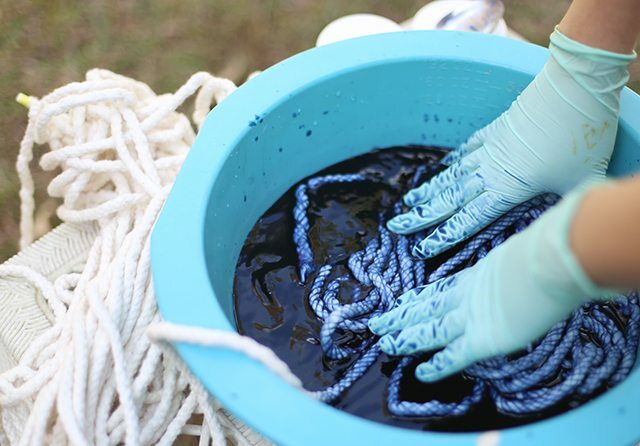 Mix a small bucket of dye according to the dye label instructions, and immerse about 1/3 of your length of rope. Squeeze it and swish it around to really absorb the dye. You can use a fixer to lock the color in a little better if you want. For this I wanted a really washed-out look, so I skipped it. If you’re going for something more vibrant, try soda ash. After the rope has soaked for maybe ten minutes, wring it out, and then rinse it until the water coming off it runs completely clear. Dip the next 1/3 of the length of rope into a lighter (more diluted) version of the same color, or use a different color entirely. Wring out and rinse. 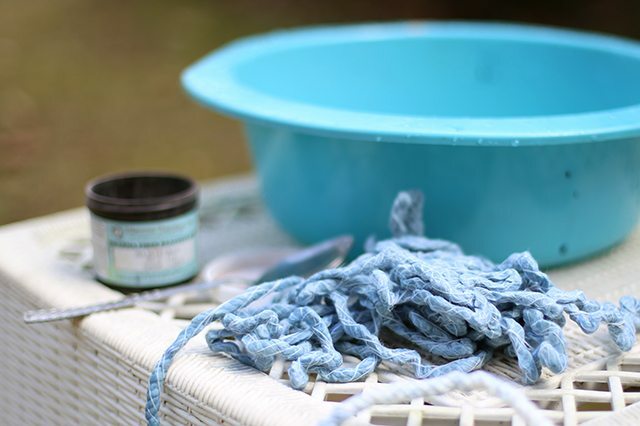 Leave the remaining part of the rope natural, and lay the rope out on a flat surface or a laundry drying rack in the sun to dry. 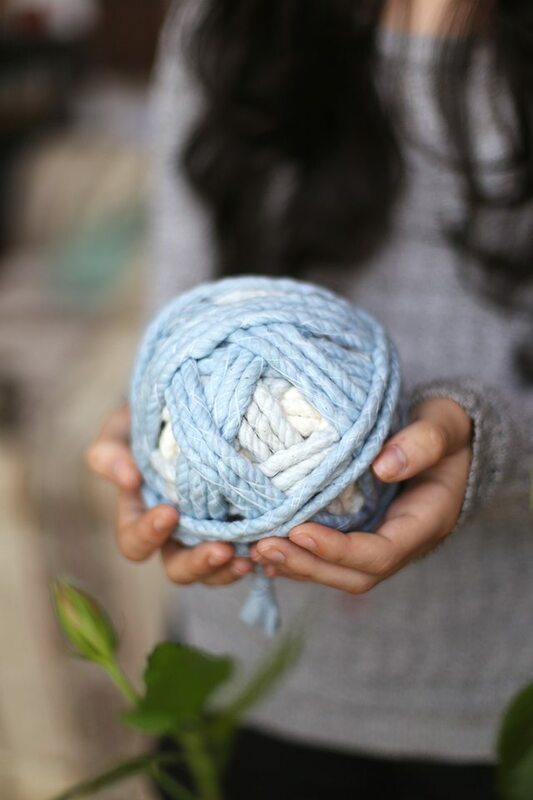 Nicole uses braid or twist cotton in her video tutorial. I wanted to try a different look and texture, so I used her version instead. Instead of the individual rope strands like you see in her version, I got more of a flat, almost fabric-like effect. I think both ways are beautiful! Buy more thread than you think you need! You may not use it and can always return it later, but it would be super frustrating to run out halfway though the project! Nicole doesn’t specify a length for your zigzag stitch in her class, so I used it on the middle setting, and it worked perfectly. You’ll probably end up with some holes. These are easy to fix by either hand-stitching, or if you’re impatient like me, going back over with a quick zigzag stitch. You can try mixing lots of different colors of thread for various effects, like stripes or a thread-based ombre (instead of dye). Start slow. Don’t get impatient. My first one (the bigger, ombre one) was a little lopsided because I wasn’t stopping to check it every once in awhile. I have often thought about taking a Creativebug class! 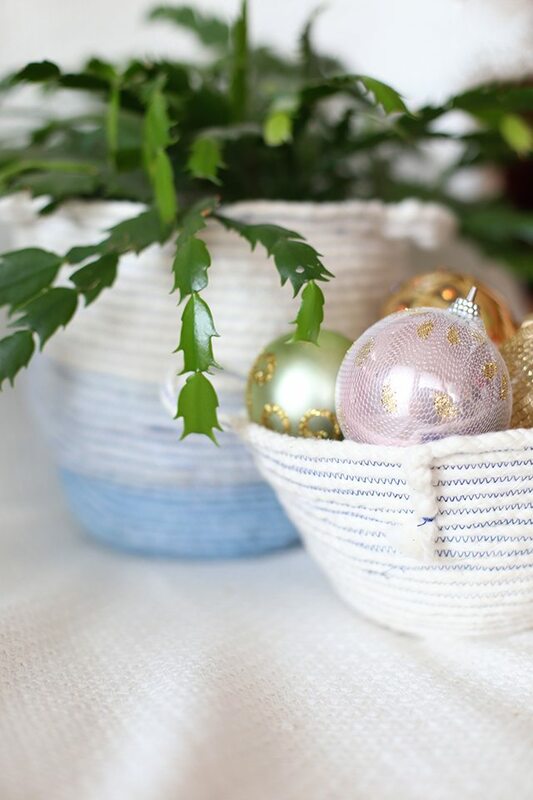 This dyed rope basket is stunning. What a beautiful basket! Love the colors you chose. Thanks, Andrea! I can’t get enough of those soothing blues and greys! You know I love a rope basket! Love the dip dye technique! Thanks, Sara! I was a little worried about how it’d come out with the rope, but it worked really well! That rope basket is stunning! I love the texture it adds! Very cool baskets! 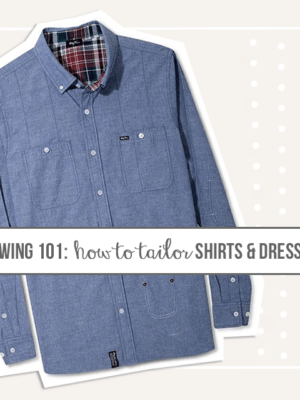 Love your tips and tricks from your experience with the class – very helpful! 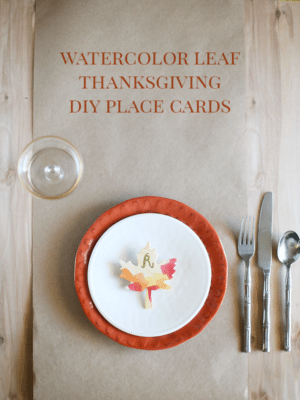 Super cute project- I may just have to try this!